Okay, so: London. West Country. Peak District in the north. And then it was time to boogie. 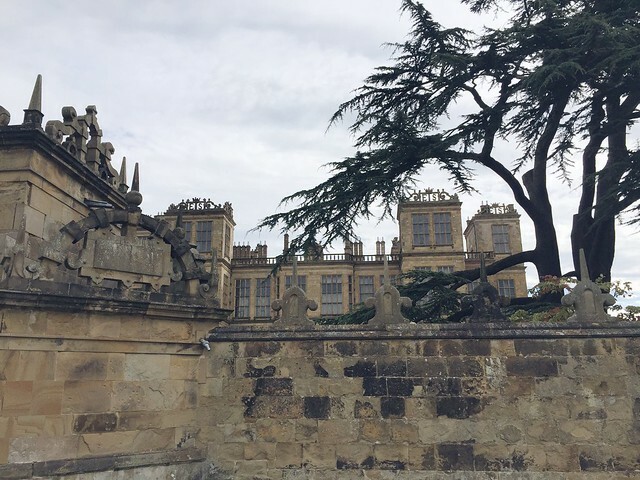 We woke up, had another LOVELY full English at the inn (literally full English and scones everyday, I am not ashamed) and then hit the road for Hardwick Hall. 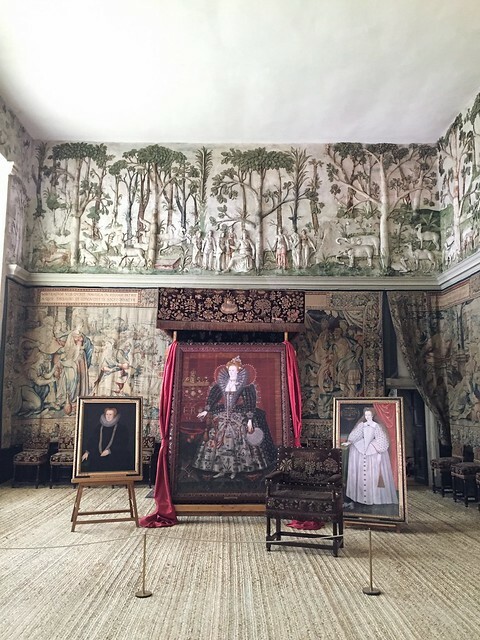 Here’s the deal with Hardwick, if you’ll forgive me some history for a second: The actual star of this show is Bess of Hardwick, a friend of Elizabeth I.
Bess married up four times, hitting the jackpot with her third husband. Together, they built Chatsworth. After her husband’s death, Bess married once again and ended up as the second richest woman in England (after the queen). Among other things, Bess babysat Mary Queen of Scots during her imprisonment. The original Elizabethan house at Chatsworth is long gone, so what I visited was the more recent construction from the 17th century. But Bess’s second home, Hardwick Hall, about 30 minutes away, is essentially untouched. 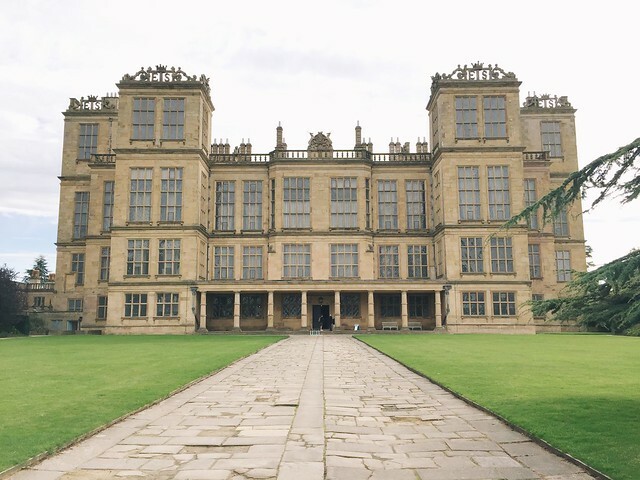 Bess built Hardwick as her crowning glory, hoping to get the queen around for a visit. SO! What all that means is that Hardwick is one of the only and best surviving Elizabethan estates, and it’s known for having a metric fuckton of glass in the façade. I think that's the technical term. Walking around Hardwick was an interesting glimpse into English nobility from Tudor to modern times. The house and decorations were overwhelmingly Elizabethan, obviously. But the last owner of the place had lived there through the middle of the 20th century with barely any amenities. It was a little sad, seeing how she had existed in just a few rooms without much heat or plumbing. 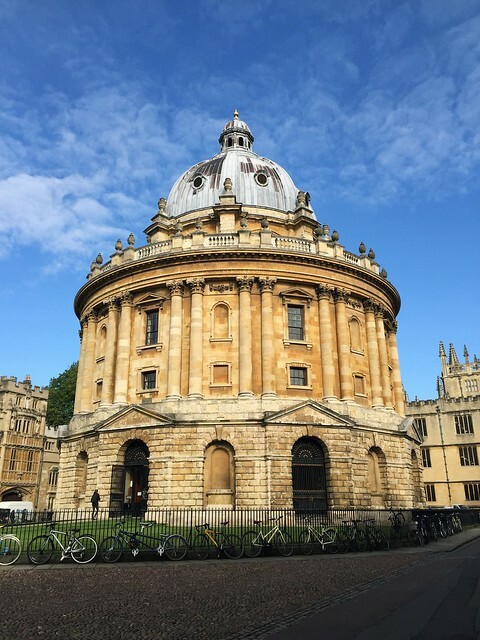 Here, we’re driving from F to G—Oxford. 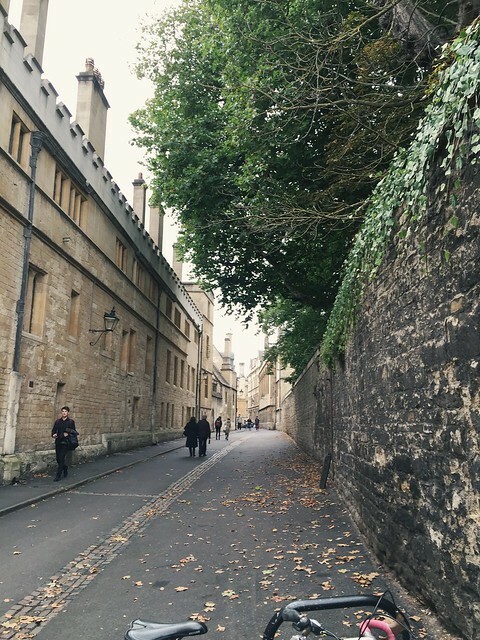 I’d done a day trip to Oxford during my study abroad, but I was dying to go back and explore. 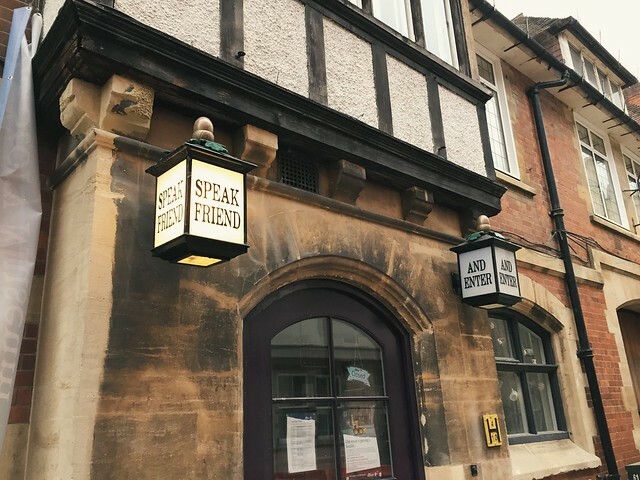 Oxford! It makes me think of Alice in Wonderland and The Golden Compass and stern yet charmingly eccentric deans traipsing around on bikes. You know the type. Here comes reality, though. 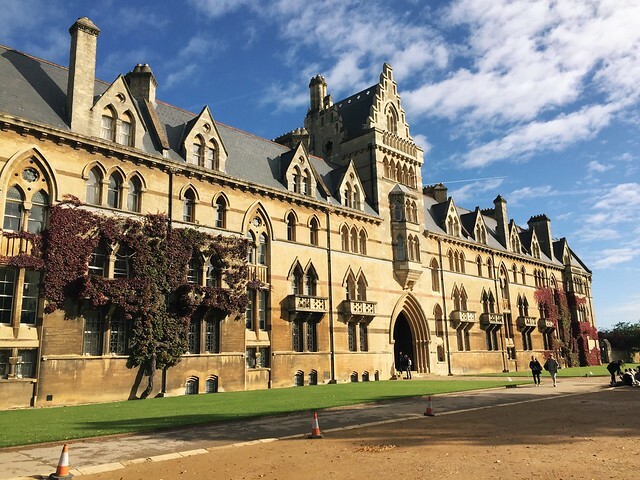 Oxford is an ancient city, so there are very few hotels—and barely any parking—in the town itself. Since we only had one night there, I used some rewards points to book us a room at the Mercure Eastgate. It’s incredibly central and has parking, but nothing else worth writing home about. 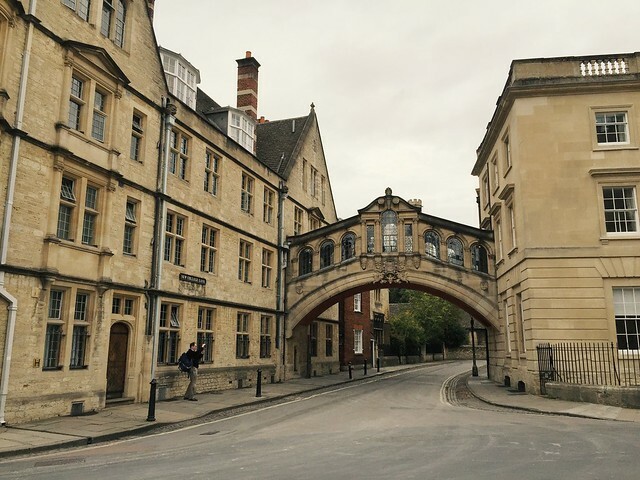 We finally got parked at the hotel when I realized Christ Church College was closing in about 10 minutes. 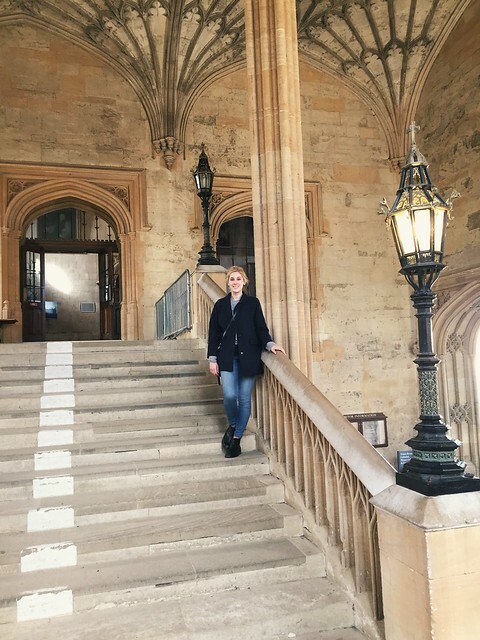 The college was founded by Henry VIII—he’s my boy. 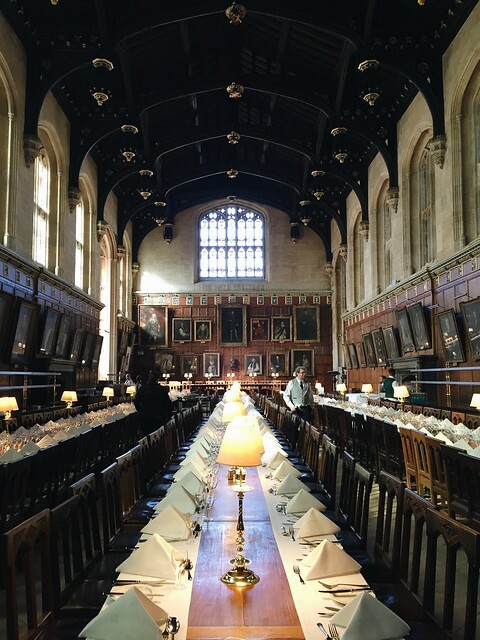 And for the VASTLY uninformed, Christ Church’s dining hall inspired the one at Hogwarts. 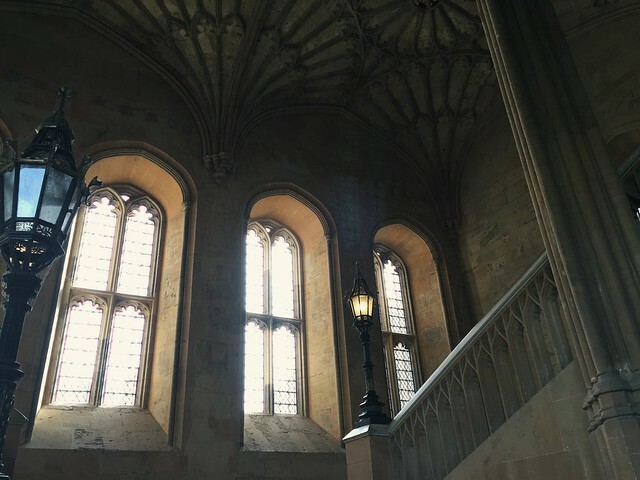 It was closed to visitors on my last visit, so it was crucial I get a peek inside. Mom and I SPRINTED from the hotel down cramped, cobblestoned streets. (Not surprisingly tough for running.) We cut through Christ Church Meadow, and stopped short as the doors closed. Oops. Instead, we wandered around and did hashtag TEA TIME! 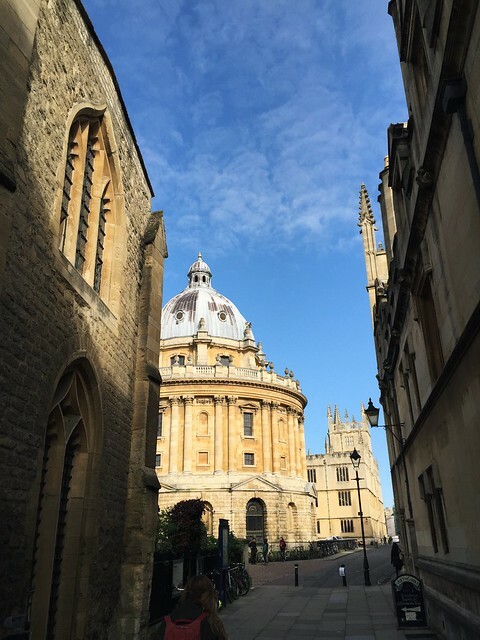 Everything is absolutely beautiful in Oxford, but I definitely recommend scheduling tours ahead of time. 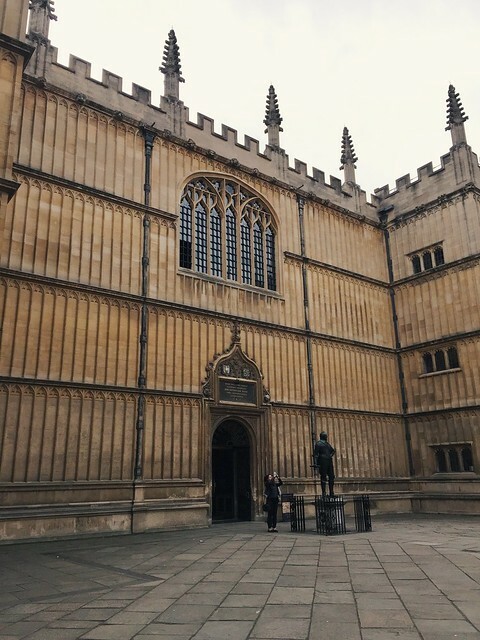 All I wanted to do was get into the Bodleian or poke around some colleges—not possible without a guide, especially when school is in session. But! We did manage to wander past The Turf without meaning to. 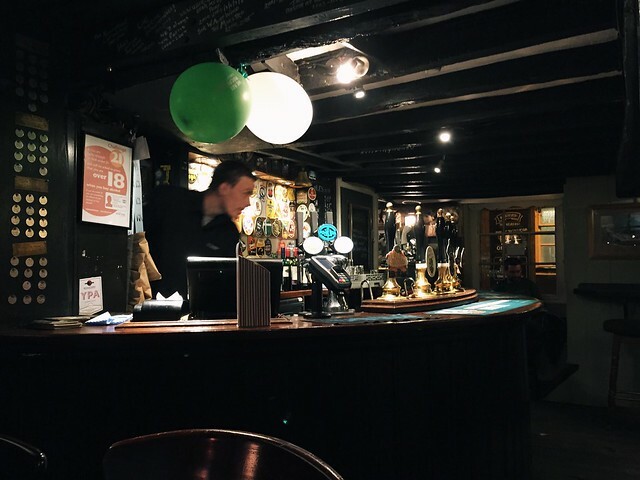 After a quick dinner in the decidedly unphotogenic side of town (at Byron), we went back to the Turf for a drink and found ourselves talking to an older alumnus of one of the colleges. 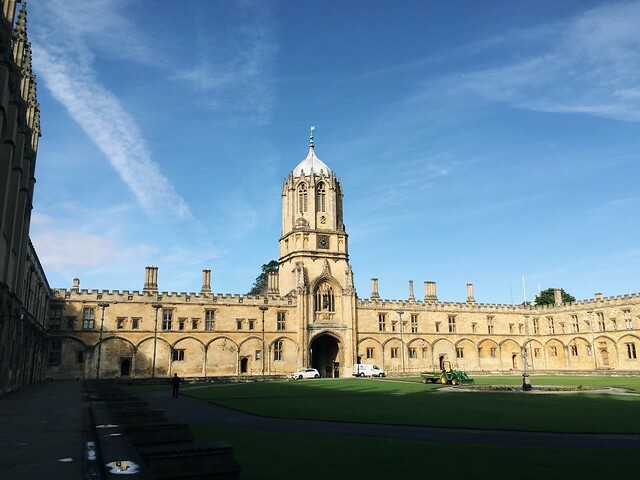 Mom and I had SO many questions about Oxford and the school system, which he blearily answered. I had no idea exactly how colleges worked: They’re exclusively for living and study with a private tutor, while classes are taken with students across the school. We had our last sleep before our last leg with the thrice-cursed car! And then bright and something the next morning, we managed to stick our dumb heads into Christ Church. It lived up to expectations. Next time: a triumphant return to London.